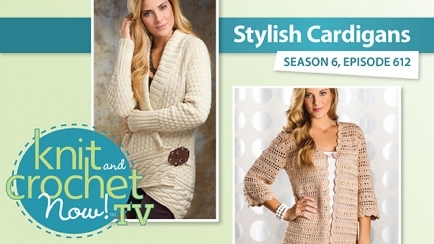 Kristin shows the knit Alabaster Cardigan by Cheryl Beckerich, and Ellen demonstrates the Uptown Chic Cardigan by Laura Gebhardt. Lena shows the crochet Star Stitch Long Cowl. 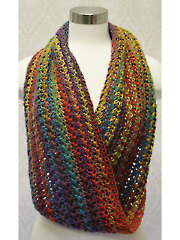 My main interest is knitting, but I am finding patterns in crochet that I am really wanting to try. I downloaded the pattern for Uptown Chic Cardigan. Haven't made it yet. The techniques and new stitch demos are great. Absolutely love the Crochet Star Stitch. It is simple to crochet yet elegant. Awesome instructions, awesome instructors! I don't knit but I'm dying to do the uptown chic cardigan and making an afghan using the star stitch!